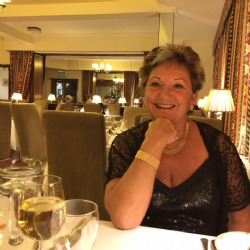 Hazel Hallatt - Has always enjoyed a full and active life with hobbies and exercise very much at the core. So, imagine her concern when the onset of osteoarthritis threatened to curtail her walking, swimming & golf. "Collagen Plus has been truly fantasic for me; I never miss a day taking it and enjoy a very full life with good mobility and only minor discomfort. It has certainly kept me young at heart and I have spread the word among my friends. Due to general wear & tear, I recently underwent knee replacement surgery and my consultant was most impressed by my levels of mobility and how my osteoarthritis was being managed". "I discovered a new collagen supplement and everything has improved since I started taking it – my knee replacement operation has even been put off. "After just two months I found the pain was easing, to such an extent that I could play a round of golf almost trouble free. It's been such a transformation. "Now I can play two hours of bowls in the morning, a full round of golf in the afternoon and I still have the energy to go dancing in the evening! "Getting back into the swing - both in terms of golf and life - is fantastic." 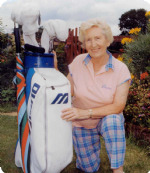 Joyce's improvement led to her being elected lady captain of her local golf club and, along with husband Douglas, 71, she has since won a tournament. At pains to help! - Roland's remedy helps family & friends. 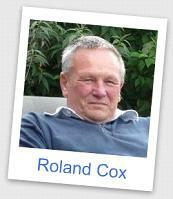 Roland Cox swears by Collagen Plus and so does his dad, his wife, his niece and a whole legion of friends and acquaintances! Roland, 60, (of Stratford-Upon-Avon) who broke his back in a horrific accident when he was in his mid 20s, reckons Collagen Plus has enabled him to lead a normal life. He has been a regular user since the product first came to the market in 1994 - thanks to a nurse. "The nurse recommended it to me back then and it has worked incredibly well for me," says Roland who suffers from degenerative arthritis of the spine. "It has helped my back on a day-to-day basis and it has also helped with a wrist I broke in a road accident some years ago. Doctors gave it little chance of returning to normal function, but it has." Prime among Roland's loyal band of Arthrovite 'disciples' is his 82-year-old father Geoff, who has a long history of problems with his neck. Veteran running marvel Arthur Phillips aims to become the first 100-year-old to complete the London Marathon - after winning his own race against acute joint pain. 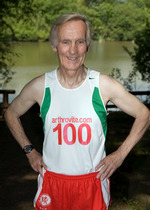 Arthur, 75, feared his running days were over after he had “worn out” the cartilage supply in his knee. However, thanks to Activ Vite, a special collagen supplement, which helps rebuild and maintain cartilage, bone strength and flexibility in joints, he is clocking up the miles ahead of the big race in 2034! I would like to place a second order for 3 months supply of Collagen Plus. The result of the first have been most impressive. By July of this year my wifes condition was such that she could not walk further than 100 metres and then only in great pain. At this time we saw your advertisement in the local paper and I suggested that she should try a 3 month course. She embarked upon it with great scepticism and I lived more in hope than anticipation. However after one month there was measurable improvement and after two she is completely mobile again a condition observed by all who see her and the like of which we have not enjoyed for over 10 years. She takes no other medication and so if her improvement is not the result of your product then it must be a miracle. However we are not prepared to take that gamble! P.S. We have spread the word far and wide.